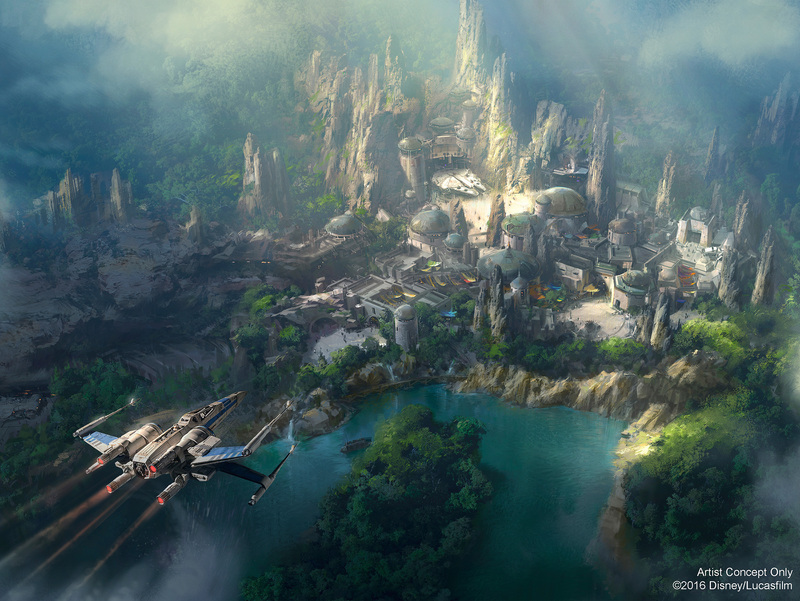 Disneyland Offers Teaser Image of "Star Wars Land"
After offering a glimpse earlier this year, Disneyland offers a first look, via concept art, of the highly-anticipated Star Wars Land. This artwork is posted on the fence surrounding the now-closed Big Thunder Trail in Forontierland of the franchise’s upcoming attraction, and is sure to get Star Wars fans excited. It features an X-Wing fighter flying over head, while the Millennium Falcon is docked in an area underneath. Star Wars Land will sit on a 14-acre section of the amusement park, making it the largest-ever single-themed expansion at the resort. While fans may be excited, they’ll have to be patient, because Star Wars Land isn’t expected to be completed for a few years. Check out a high-res version of the image here.